This afternoon I noticed Yusuf working on the balance sheet for the hostel. 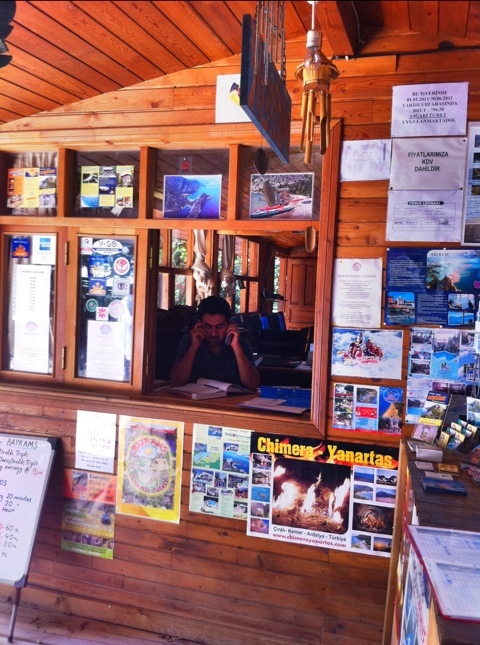 He was flipping back & forth in a notebook, scribbling down the amounts received from Travel Agency referrals, one page devoted to each Travel Agency. The thought occurred to me, as it did at the hostel in Istanbul, that all bookkeeping appears to be done by hand. It was presented so casually that I can’t help but think this is normal, similar to a waiter who only reports a portion of their tips. Yet this is on a massive scale – a hostel with 200 beds. There are so many interesting observations here, I don’t even know where to start. The lack of honest books, the fear that the government is watching, the margin of error involved with anything done by hand, the lack of anything with a “fixed” price…I could go on and on. Or I could just chalk it up to yet another interesting cultural observation that enables this country, and its businesses, to be so hospitable. This entry was posted on May 31, 2011 by Katie. It was filed under Turkey .